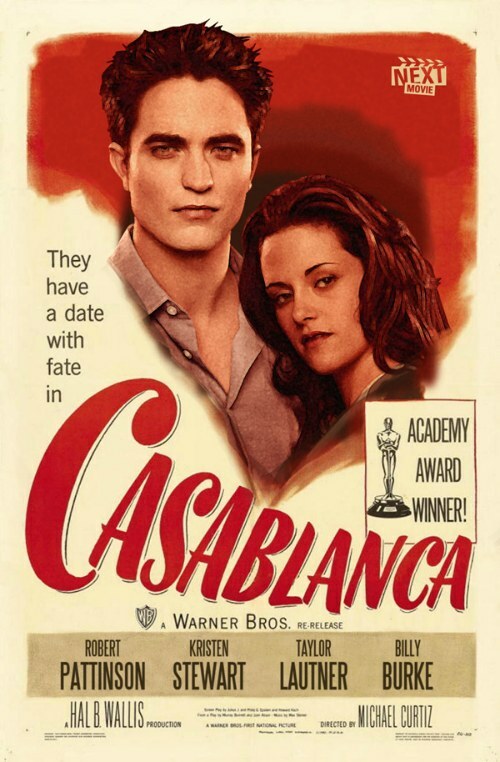 Classic Romance 映画 Now Starring Rob & Kristen. . HD Wallpaper and background images in the Robert Pattinson & Kristen Stewart club tagged: robert pattinson kristen stewart robsten movie posters lol. This Robert Pattinson & Kristen Stewart fan art might contain アニメ, 漫画, マンガ, and コミック.